Casual Invisibility, Jeremy Bolen’s first solo exhibition at Soccer Club Club, presents a collection of images, hybrid objects and sculptures that explore how humans and non-humans interact with the invisible. Using the resources and archives of several scientific institutions –– including Yerkes Observatory in Williams Bay, WI and Argonne National Laboratory in Lemont, Illinois –– Bolen incorporates unique, material based, site specific recording processes such as chromogenic printing, film burials, photon-grams, and volcanic dust prints. 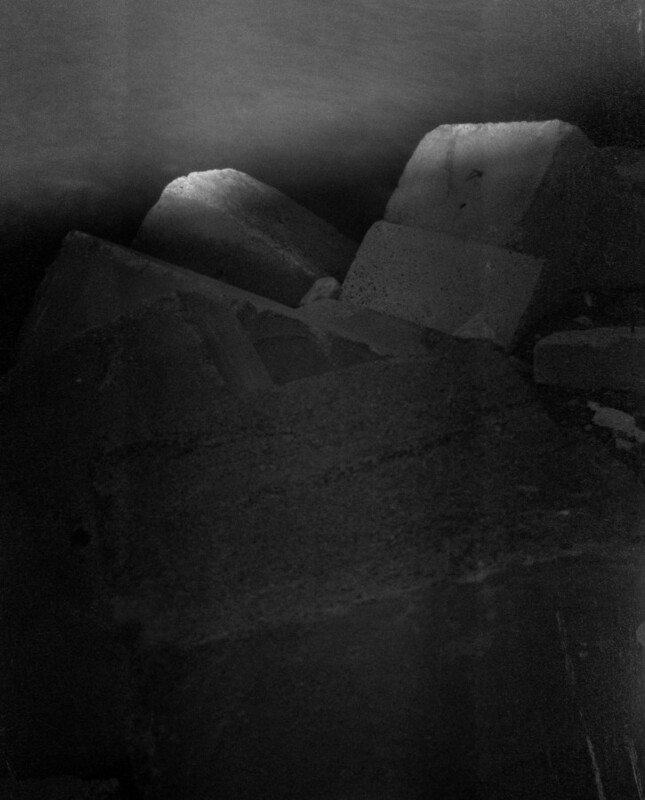 Working with sites of unknowable significance, such as the remains of the Zion Nuclear Power Station in Zion, IL and the Morris Operation in Morris, IL, Bolen attempts to observe and understand what is beyond our sensory capabilities. Work for this exhibition began in the summer of 2017 when Bolen gained access to an archive of glass plate negatives at Yerkes Observatory in Williams Bay, Wisconsin. Yerkes Observatory is widely considered the birthplace of modern astrophysics and houses the largest refracting telescope ever used for astronomical research, a 40-inch double doublet lens refracting telescope. These glass plate negatives were created between 1897 and 1960 using the telescope to help astrophysicists observe the unobservable, to help them see deep into the night sky. Using this archive along with various materials and processes, Bolen creates an immersive atmosphere of sensory enhancement –– with a focus on themes of hyper-objects, slow-violence, geo-engineering, radiation, environmental injustice, and light pollution.